Microservices are eating the world, or so it seems. But aren't microservices just SOA done right? Or are they? On the 24th of March, WSO2 hosted a meetup in Colombo, based on Microservices. 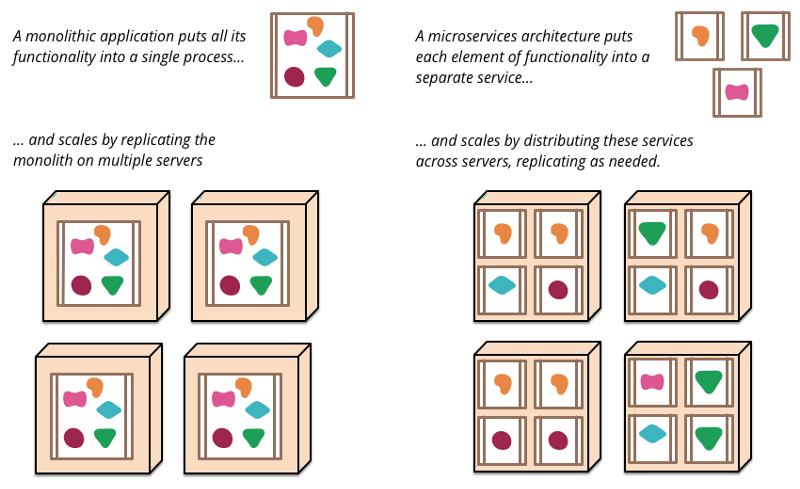 In it, Kasun Indrasiri and Afkham Azeez tackled what we think is a pressing question: what are microservices, and how are they different from what we’re already doing? By now, everyone knows what the monolith is — the dreaded single-unit architecture that ends up becoming a nightmare to deploy, build on and scale. It is self-contained and is, in essence, a silo unto itself. It’s possible that ‘microservices’ started trending because we now have better and easier tools for facilitating this kind of development. Docker and Kubernetes have practically hammered in these basic concepts into a lot of developers’ heads. All it needed was a name. If my understanding here is wrong, do correct me. Either way, here’s a toast to microservices — for keeping the spirit of SOA alive and kicking. Published at DZone with permission of Yudhanjaya Wijeratne . See the original article here.